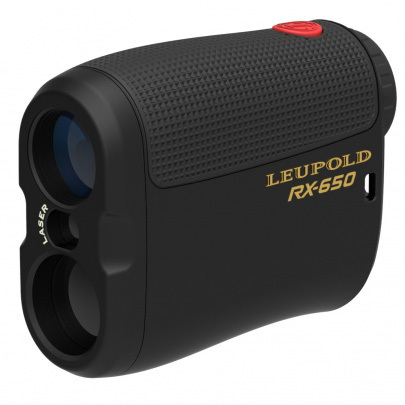 The ultra lightweight and easy to use Leupold RX-650 Laser Rangefinder is ideal for ranging a variety of targets up to 650 yards. Small but mighty, this Rangefinder from the hunters at Leupold has multi-coated lenses for superior light transmission and thus, brighter images at almost any distance. With a wide field of view and measurement readouts, the Leupold RX-650 Laser 6x Rangefinder offers a 6x monocular magnification and allows you to see precisely how far away your target is to adjust your shot accordingly. 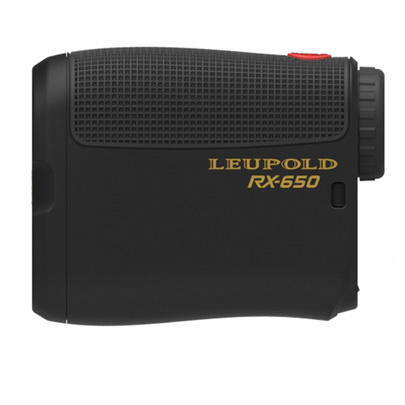 The rubberized grip and front cover improve the comfort and durability of the Leupold RX-650 Laser Rugged Rangefinder, while also offering 100% waterproof capabilities for shooting whenever and in whatever weather conditions you encounter. Dimensions: 3.6" x 2.9" x 1.4"